Running timers. Timers are automatically updated in the menu bar in real-time. Check your progress with just a glance. No clutter. 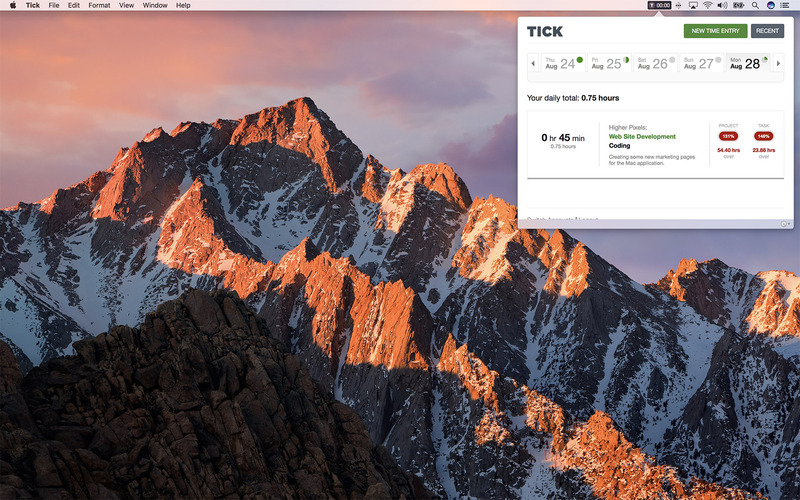 The Tick Mac App disappears into the background, so you can stay focused on the task at hand. Automatic Sync. The Tick Mac App syncs across all your devices; start a timer on your Mac and pause it on your phone. Get it from the Apple Mac App Store.